Want a sturdy vehicle that has the strength and reliability to manoeuvre city streets during the week and roar along rugged roads on the weekend? Look no further. 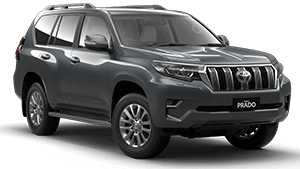 With an assertive grille, flanked by two slanting headlights, the Toyota Prado is truly a head turner. 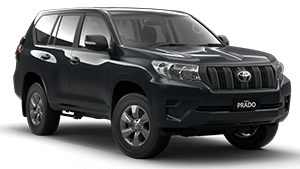 And with 4WD and off-road capability, it has the horsepower to match its good looks. 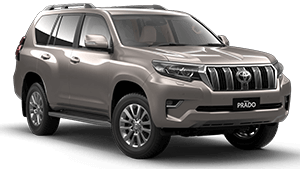 And let’s not forget the Toyota Landcruiser Prado’s intuitive technology, such as hill start assist, a reversing camera and a keyless push-start engine. Find out what all the fuss is about by taking a road test in a Toyota Landcruiser Prado today at Phil Gilbert Toyota.